Head of an elderly man. Right-hand high relief. An exclusive example of the Roman portrait. $55000 (2004) — New York, Royal-Athena Galleries. Cf. 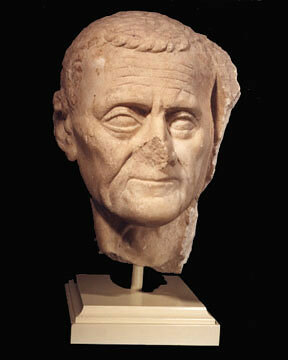 Vermeule, Sculpture in Stone, Museum of Fine Arts, Boston, 324, where very similar head is designated as “Homer”.